"I agree with Robert Louis Stevenson, who wrote, 'The man who forgets to be thankful has fallen asleep in life' (Quotationary, electronic quotation dictionary). Unfortunately, because the beauties of life are so abundant, sometimes we take them for granted. 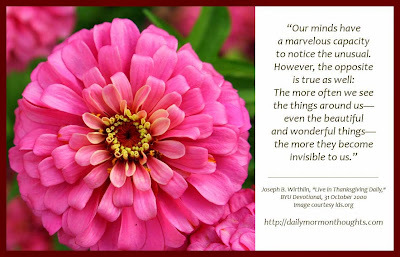 "Our minds have a marvelous capacity to notice the unusual. However, the opposite is true as well: The more often we see the things around us—even the beautiful and wonderful things—the more they become invisible to us. "That is why we often take for granted the beauty of this world: the flowers, the trees, the birds, the clouds—even those we love. "Because we see things so often, we see them less and less. 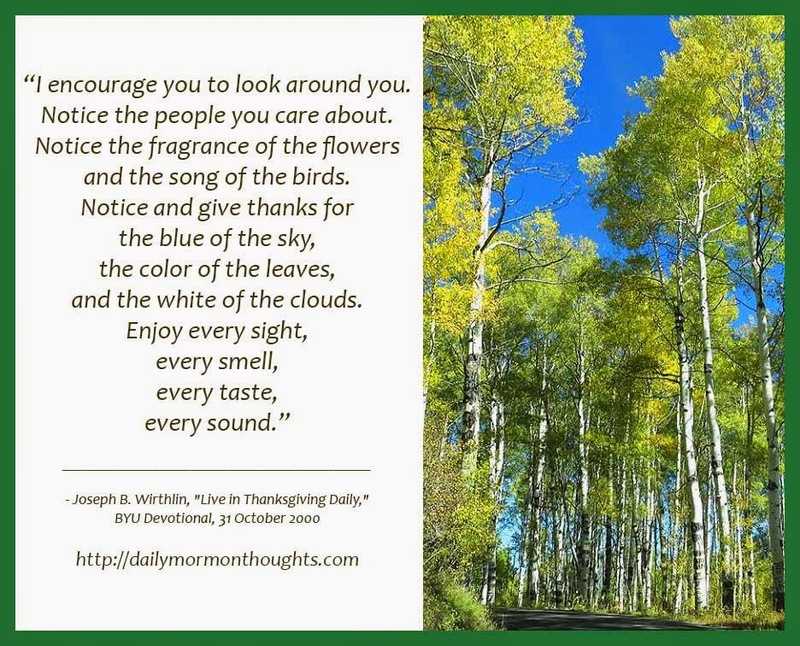 "Those who live in thanksgiving daily, however, have a way of opening their eyes and seeing the wonders and beauties of this world as though seeing them for the first time. "I encourage you to look around you. Notice the people you care about. Notice the fragrance of the flowers and the song of the birds. Notice and give thanks for the blue of the sky, the color of the leaves, and the white of the clouds. Enjoy every sight, every smell, every taste, every sound." 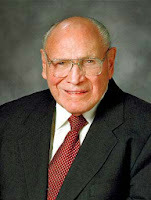 Elder Wirthlin warns of an interesting phenomenon—the tendency to take for granted the things around us. We become accustomed to both good and bad, and stop noticing. He's especially concerned about neglecting beauty, including flowers, trees, birds, clouds—simple things. And the problem is magnified when it extends to "even those we love." The solution is to "live in thanksgiving daily" by recognizing the blessings that continue to come and continue to surround us. The key is to keep eyes open, and hearts open as we go about the sometimes routine events of our lives. 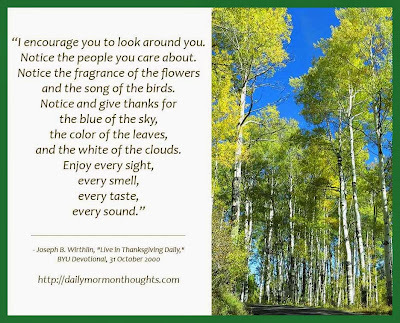 Labels: beauty, gratitude, nature, thanksgiving, Wirthlin Joseph B.